I’ve been interested in going completely solar for a while now back home in South Africa, as pricing for electricity has rapidly increased past the pricing for solar; return on investment is in the 3 year range currently. It will get close to 1 1/2 year return on investment when Eskom new pricing increases happen, so its a no brainer to install. I’ve already replaced our geyser (hot water system) with a solar based system, plus all the lighting in the house is already LED based (yay China! ), so our base load of electricity is low for the size of the house. I can still improve though by installing solar, to make the electrical costs approach zero, and at some indeterminate point in the future when Eskom allows for legalized grid tie, a profit center! and the balance at 10% for the next three years. Before I get to pricing though, I need to explain how it all works. For any system, you’ll need some kind of input. As I’m looking at Solar, thats my input. I can also look at thermal or wind based. Wind based is a distinct possibility in Cape Town, but I have been advised that its probably too windy to use! (turbines can’t run during extremely windy weather or you break the turbines). So, I’m going with Solar. There are 2 types of solar panel out there. Monocrystalline and Polycrystalline. Monocrystalline is more expensive per watt, as its a more difficult process to make panels from. Mono panels are also slightly smaller per watt of output. On average mono panels are about 14% smaller. They also work better in hot climates. Aside from those differences, they’re fairly similar. Panels are typically rated in watt terms. 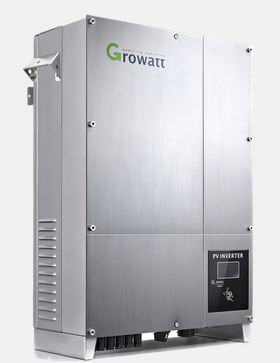 A 300w panel will give you 300W of power at peak output (eg mid-day). The 300w panels I’ve been looking at give 36V @ 8.3A. I’ll probably go with polycrystalline, as the pricing isn’t really worth the extra 30% for mono crystalline for my needs. I’ll be getting 30 panels, as thats about the max I can fit on my roof in theory. (My brother hasn’t gotten me the exact sizing yet). To use this, we need an inverter though, as something has to convert the DC power into AC. 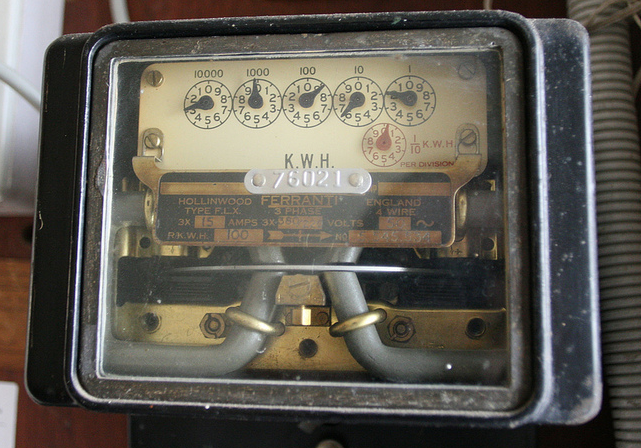 In my house, I have 3 phase power, and an antique metering system. 3 Phase is good, as i have sufficient power for my needs, but its bad as I need a more advanced inverter to give me 3 phase. 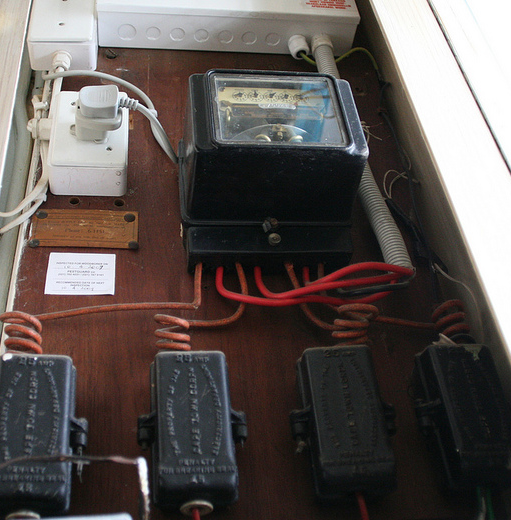 I could use 3 x single phase inverters, but for simplicity, I’ll be going with a single 3 phase inverter. 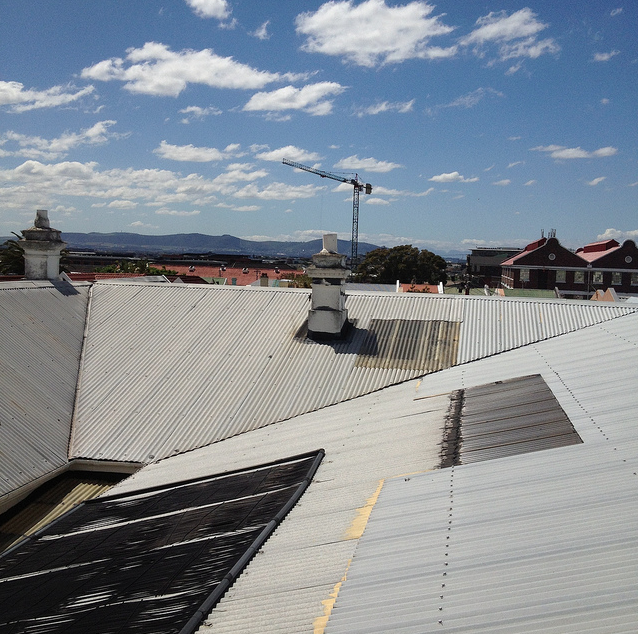 If you see the cabling here – you’ll see we have 3 phases + 1 neutral = 4 cables. To work out what sort of inverter I can use, I need to do some basic math. I’ll have 30 Panels total. Each panel gives out 36V @ 8A., and that will give me approximately 9KW output. As the smallest *decent* 3 phase inverters I could find are 10KW ones, thats a good size. I have a choice of running the panels in series or in parallel. If I run them in series, then the Voltage increases. If I run them in parallel, then the Ampage increases. If you’ve ever seen welding cables or car battery cables, you’ll see what sort of cabling is required for high Amps. So, everyone wires using DC voltage. 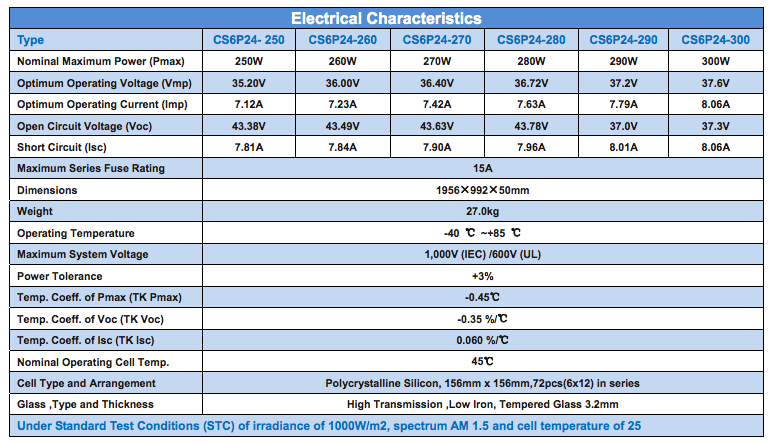 That 3 phase inverter has the following characteristics. It will power up from 300V (min voltage to run), and accepts voltage up to 1000V. It also has 4 inputs for panels. Generally each input is called a “string”. As I’ll have 30 panels, I’ll probably be balancing them out in 2 x 15 piece strings -> the inverter. This will give me a rough total of 9W peak power. As conversions are never perfect, and panels can output more during peak than they are rated for, I’m getting a 10KW inverter. This will allow for some small headroom in future if I need to expand slightly. It also is fine for something I haven’t talked about yet – open circuit. The panels I’m looking at run at 36v open circuit (i.e. before they kick in), the inverter also needs to be able to work without issue at open circuit voltages. As the inverter supports 1000v, open circuit of 564v isn’t an issue. Weight = 1000KG with packing. That gives me a rough pricing of R6.6 a watt *installed*. It also gives me a system that I can hook into the grid (illegally currently! ), but won’t provide for power in case of failure. My intended system will cost me about R60,000 + install labour. At current electricity pricing, I should see a complete payback for the system in about 5 years. Given that electricity prices are going to be *doubling* over the next 5 years in Cape Town, this will actually be achieved in about 3 years or so. Our current monthly electricity usage looks like this for those who may be interested. Initially I’ll be feeding excess power back into the grid, and using that as a “battery”. Well, as I have an older meter, it can run backwards. So, daytime when I have _substantial_ excess, i’ll be running backwards, and nighttime, when the solar panels are not generating, I’ll be running forwards. Essentially, using the grid as my battery..
Eskom will be benefiting from all this, as I’ll be a net producer far over what I consume – so they’ll get all the free electricity I’ll be generating. Its also safe – as the inverter will not feed back into the grid if its offline – eg when we have one of our rather too regular power outages (3 in the last month from my logs). Longer term I’ll be installing a battery system to allow for complete off grid, but funds don’t currently stretch to that yet..
Do note that the above is for my needs – your needs might not be my needs! I need a 3 phase system. Most people _don’t_. 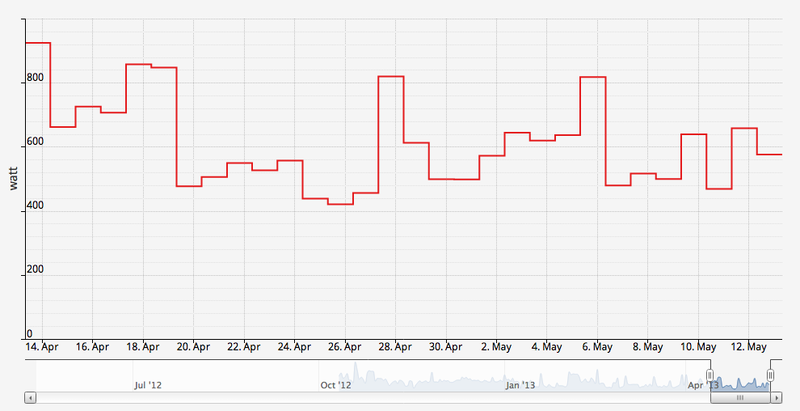 I’m also going grid tied for the moment due to funding available. 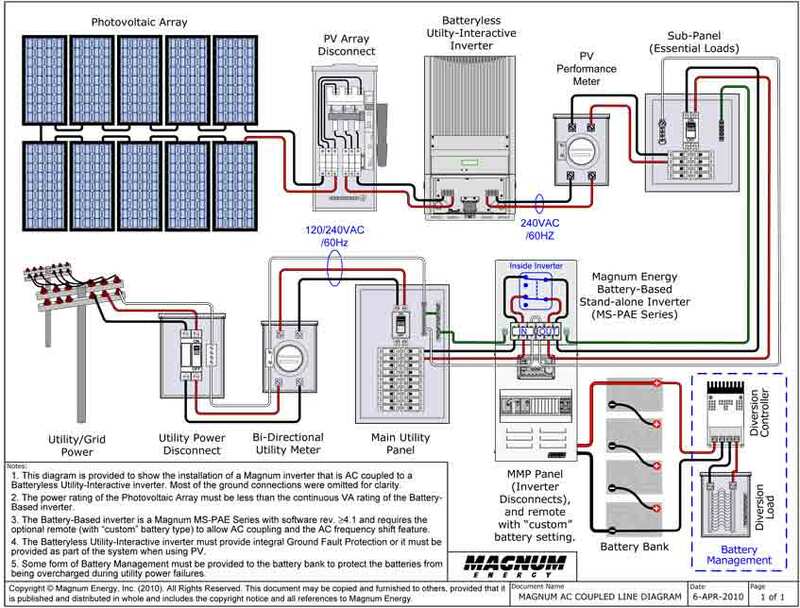 Others might find it better to have a hybrid grid tie/ battery system. If I could afford it, I’d go that route! I’m also *heavily* overspeccing the output – clearance costs are substantial for South Africa (highest in the world almost), so it doesn’t make sense for me to ship a small system, as there is only a marginal cost for what I’m speccing. A suitably sized system for us would be 8 panels, and a 3kw inverter. I’d be crazy to ship that though, as the clearance is more than the cost of the system. So, I’m heavily overspeccing on requirements so that it makes sense. Long term its also a no-brainer for me, as I’ll have substantial excess I can sell back to the grid. This entry was posted in Solar PV, Theory on August 16, 2009 by lawrence.